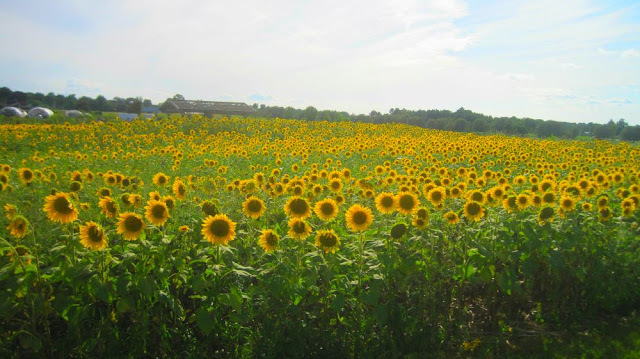 We stopped at a local farm to get corn and enjoyed the field of happy sunflowers which are being grown for bird seed. I love this time of the summer, and Dunkin Donuts will have their pumpkin coffee on August 31. LOL, it's my favorite. Sunflower plates﻿ were blooming at Wegman's several years ago and are paired with Courtly Check placemats from the MacKenzie-Child's barn sale. I am a sunflower junky, and every vase in my home is filled with cheery sunflowers during August and September. I'll leave you with this very easy summer dessert. I'm starting to crave pumpkin desserts, but this is really nice. Start with Vanilla ice cream. Store bought is fine. I swirled the ice cream with crunchy peanut butter and spread it on thin fudgy brownies. Top it with another brownie, and then freeze. To make the brownies, I used a boxed fudge brownie mix and followed the instructions on the box. Line a cookie sheet with parchment, spray with Pam, and pour brownie mixture onto cookie sheet. This is a nice dessert to have on hand for summer visitors. I served with whipped cream and drizzled with caramel sauce. You can sprinkle crushed peanuts on the whipped cream if desired. 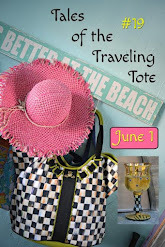 I am joining Susan at Between Naps on the Porch for Tablescape Thursday and Rattlebridge Farm for Foodie Friday. Gorgeous shots..I would love to spend a few hours there..
Looks like Kansas! The brownies are making me salivate...chocolate and peanut butter are such a yummy combination. 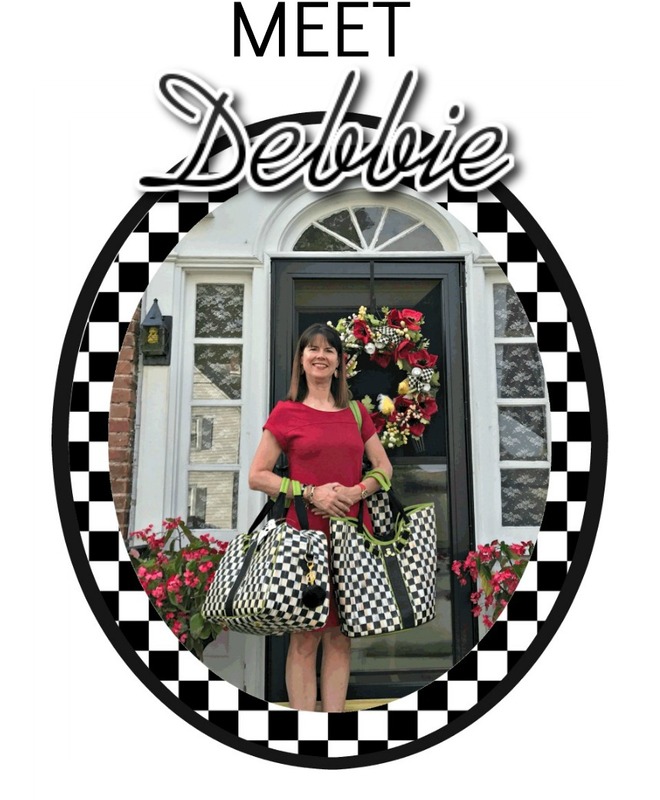 The fields of sunflowers just make me smile, Debbie! I can see why you're a sunflower lover as they're such a cheerful, happy flower for the end of summer. 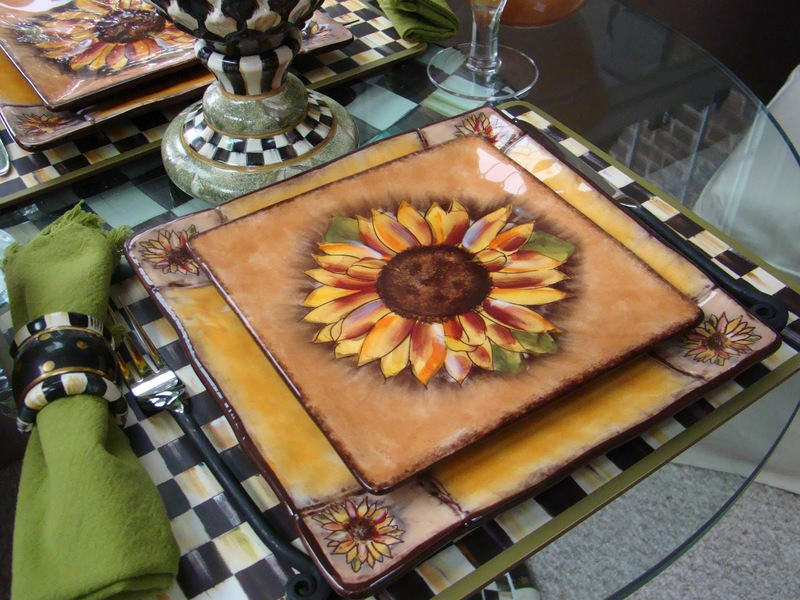 Your plates look so pretty on your CC placemats, along with your CC vase that's filled with your sunflower arrangement. Absolutely beautiful photos of the Sunflower fields and your stunning table. Who doesn't love sunflowers. I love your plates as well. Would love to see that sunflower field in real life! Fabulous! The sunflower plates on your table are wonderful. Ahh I just brought out my sunflower dishes too. Love this time of year. Your table is spectacular with the checkered vase and sunflowers! Those dishes look wonderful with the MC checkered background. The desert looks yummy! The sunflower fields are so pretty. I bet the birds are very fond of the flowers as the heads start maturing later in the season. 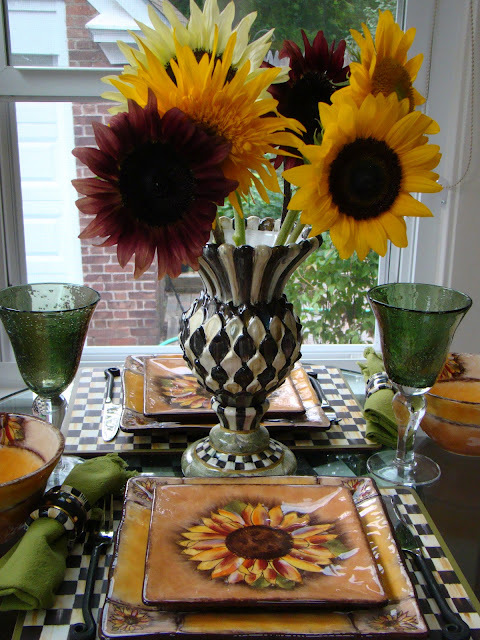 The sunflower plates look fabulous with the MacKenzie-Child Courtly Check placemats and that marvelous checkered vase full of sunflowers. 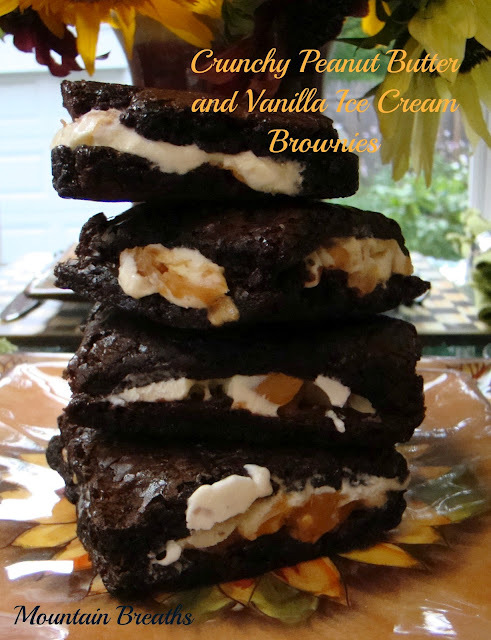 The brownies sound so tasty with the peanut butter and ice cream filling. 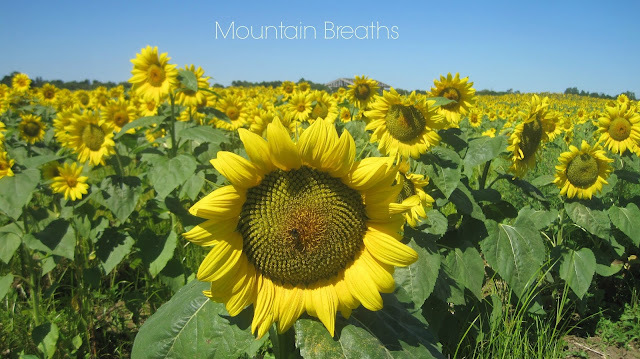 Fields of sunflowers are a stunning sight, and you captured the beauty, Debbie. Your sunny table is also stunning. As for the brownie dessert, I think I need to make these. I'm wishing I had one right now! Hope you are having a fabulous birthday celebration in NY. Gorgeous table Debbie. Those sunflowers are so awesome! I love them! I still adore your MC dishes and accessories. Such a yummy and decadent dessert. 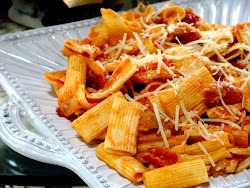 Something to try real soon. Happy Sunday.